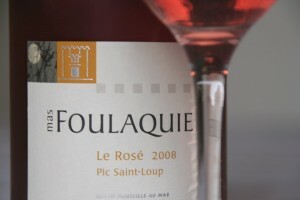 Mas Foulaquier – cuvée Le Rosé 2008 – Pic Saint Loup. wienmakers : Pierre Jéquier and Blandine Chauchat. Alchool : 13%. Cépages : 90% grenache 10 % Syrah. Tasted septembre 13th 2009. This rosé shows a very nice pink/orange colour, shinning with a light blueish hue. Subtle and nuanced nose, cherry and strawberry scents followed by more creamy pomegranate notes. A slightly metallic and mineral sensation giving a little sharp touch. Supple attack in mouth, with a fine roundness. Red fresh fruits aromas, neat (cherry pit, black currant acid drop, rose, pomegranate) are rising quickly and sustain for a while, with a very elegant mineral background. The light acidty balance this excellent wine, giving a long finish between roundness and uprightness. 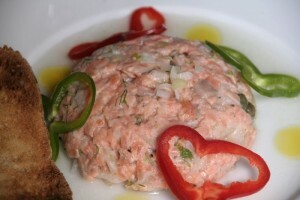 Tartare of salmon is a simple dish to do but rather complex for ist flavours and texture. This fish is fatty and aromatic, the raw characteristic of that recipe also take up challenge for the wine. 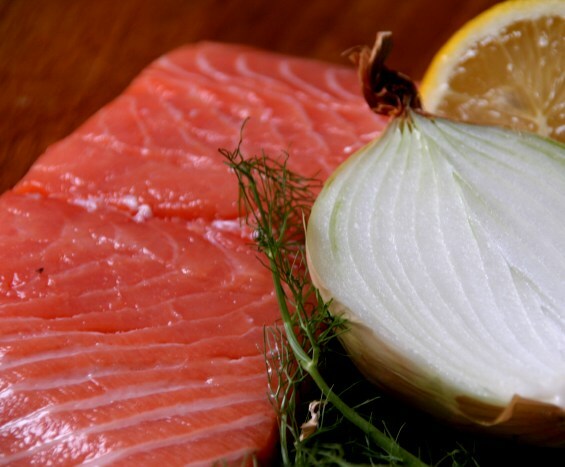 The dressing is based on lemon, caper; onion, dill and olive oil. This dish is served fresh and can be offered in form of toasts. In mouth, the tartare is juicy. 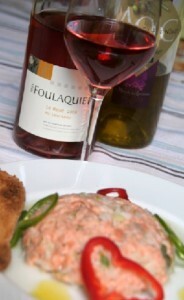 The first sensations are fresh (temperature and acidity) and mellow (flesh of salmon). The crunchy provided by the onion appears progressively at the same time of iodized flavours. Spices and herbs (pepper, dill, caper, chili and olive oil) underpin the whole, giving an impression of complexity. The association wine and tartare was perfect. 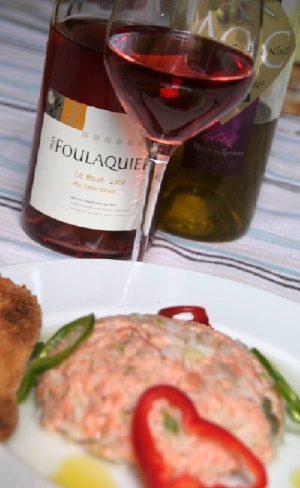 The fatness of the rosé competed the suave texture of the fish and its minérality easily resisted to iodized and spicy notes. The finess of that wine married the multiple nuances of the dish. Aromatic persistence wrapped the whole with ist characteristic fruitness giving fancy note.